Selenium is a popular open-source functional testing framework, widely used for testing web-based applications. With Selenium you can control web drivers to emulate user actions. Selenium Integrated Development Environment (IDE) - a Firefox Add-On that records, edits and debugs tests. Selenium Webdriver - a tool for automating web application testing, which provides a friendly API that's easy to explore and understand. This is the part we will be focusing on. 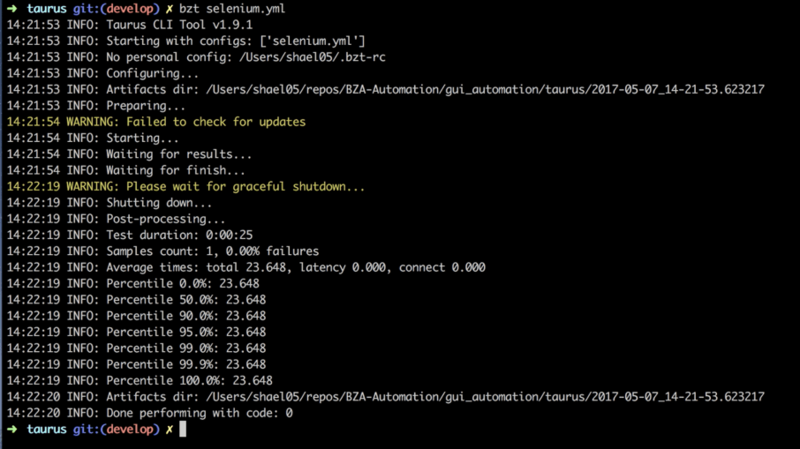 If you’re getting to know Selenium, this blog post is for you. This blog post will explain a basic Selenium code written in Python under the Unit Test convention. This code instructs Selenium to open a certain website (blazedemo.com in our case) and find and purchase a flight ticket. Each part of the code is explained in the code’s comments, after the pound sign (#) and a further explanation is provided as well. Afterwards, we will show you how to run and automate it in Taurus. Let’s get started. We will start with the full code, and then break it down.
""" Create ChromeDriver instance with blank page, wait policy of 10 seconds and maximize the window"""
""" Compare 2 arguments """
""" Find flight tickets """
""" Choose the relevant flight """
""" Purchase flight and fill out form"""
""" Capture flight ticket order screenshot """
The following lines will import several external libraries that our code will inherit and use. unittest (*Must) - this means our code will be interpreted under the unittest testing convention. Additional information on unittest with Python can be found here. selenium.webdriver (*Must) - our code will use common browser methods from Webdriver, such as click, finding elements, insert text etc. Additional info on Webdriver with Python can be found here. selenium.webdriver.common.by (*Optional but very recommended) - A very handy class that is useful when finding element By. a certain html tag, attribute, id, name etc. time.sleep (*Optional) - desperate times call for desperate measures. We should rarely use sleep to pause our code for an action to occur in the browser (such as alert, elements animation, process request etc..). Instead, we should use wait.until as mentioned here. The setUp runs once at the initiation of the class and is responsible for setting up a browser (Chrome in our case) with attributes. The functions below are used throughout the code. They are not actual steps, only functions. save_screenshot - saves the screenshot and stores the file in the same test directory. Verify_url - this function compares two strings and executes unittest.TestCase.assertEquals. find_flights (test #1) - searches flights from and to locations in the dropdown menu and clicks the “find” button. It also verifies the redirected url as well, of course. choose_flight (test #2) - choose a flight and verify the redirected url. 1. Install the Taurus Python repository. 4. Save your .yaml file with the convention mentioned here. *Note that the YAML and PY files need to be in the same folder. 8. At this point, the ChromeDriver should step up and the test should start. A link to Taurus demo repository can be found here. That’s it! 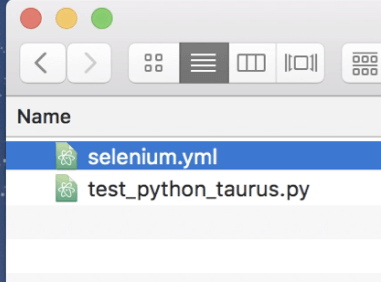 To learn more about running your scripts through Taurus, check out this free webinar: “Using Taurus to Automate JMeter and Selenium Tests”. 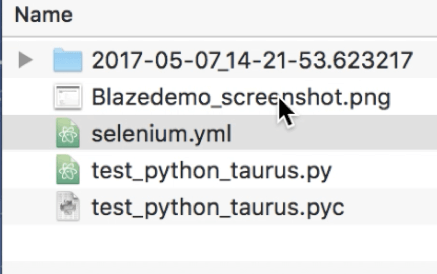 To learn more about load testing with BlazeMeter, which supports Selenium Webdriver tests with JMeter, just put your URL or JMX file in the box below, and your test will start in minutes.